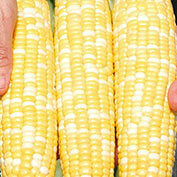 Gotta Have It Hybrid Sweet Corn | Gurney's Seed & Nursery Co.
A Best-Seller for 10 Years! One taste and friends and family will be asking—"Where'd you get it? I've gotta have it!" 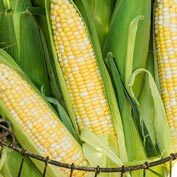 A customer favorite since its introduction in 2007, Gotta Have It has tender bicolor kernels that are packed to the brim with rich, oh-so-sweet flavor. It also allows you to enjoy that fresh-picked flavor longer—Gotta Have It has an amazingly long shelf life—3+ weeks in its husk in the refrigerator! The superb flavor holds up for a wide range of maturity; it's very slow to become starchy so you have a longer window of harvest. Fantastic for freezing—tastes like freshly picked sweet corn in the dead of winter. 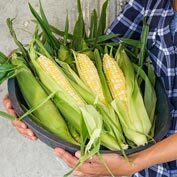 Shorter-than-average plants are as strong as field corn and hold their own against the elements and disease to yield 7-8 inch long ears that are filled to the tips with succulent, sweeter-than-sugar kernels. Can be planted with other sh2 varieties. For best germination, be sure the soil is warm before planting. Color: Bicolor white & yellow. Soil Requirements: Well-drained, fertile loam soil. Seed Count: Approximately 200 seeds per packet (plants a 50 ft row) and the seed is treated. 1/2 lb. packet (1850-2250 seeds, plants 200 ft row) 2 lbs (7,400-9000 seeds, plants 800 ft row). Pruning: Remove any small plants growing at the base of the stalk (suckers). Comments: Augmented shrunken sweet corns are a new generation of the supersweet corn types. 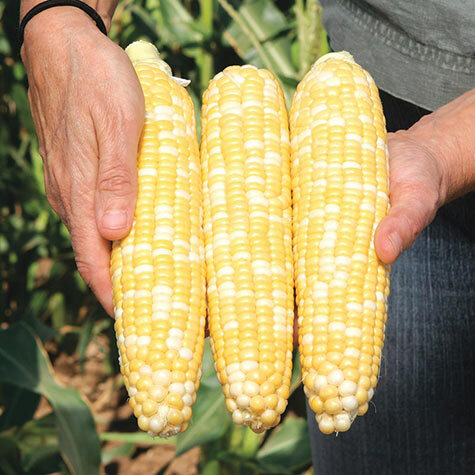 Kernels are extra juicy and tender with sweetness found in shrunken genotypes. As with shrunken, augmented hybrids must be isolated from other non-shrunken types. Isolate (250 - 300 feet or by 3+ weeks maturity time) from all se varieties. Plant height is 78 inches. 16 rows per ear.